BlackBerry is losing customers in Washington. U.S. Immigration and Customs Enforcement is the latest federal agency to drop BlackBerry smart phones for its employees, adding to the woes of maker Research in Motion (RIMM). BlackBerry still remains the smart phone of choice for Capitol Hill, but cracks are appearing in RIM's stronghold among federal agencies. The federal immigrations agency said last week it had bought $2.1 million Apple (AAPL) iPhones for its 17,676 users, saying that RIM's technology "can no longer meet" its needs. Earlier this year, the Bureau of Alcohol, Tobacco, Firearms and Explosives and the National Oceanic and Atmospheric Administration also announced they were switching from BlackBerrys to iPhones for their staffers. It's bad news for RIM, which has already weathered a big drop in corporate users, a market it once dominated. In the past year, major corporations, ranging from Yahoo (YHOO) to Halliburton (HAL), have decided to stop using BlackBerrys for their staff. RIM has come under a lot of criticism for being too slow in revamping its operating system. It is launching a new BlackBerry 10 next year. RIM wouldn't talk about the effect of the fast-shrinking federal usage on its business. Rather, it pointed out that the company still has a million government customers in North America, some 400,000 of whom have upgraded their BlackBerrys in the past year. 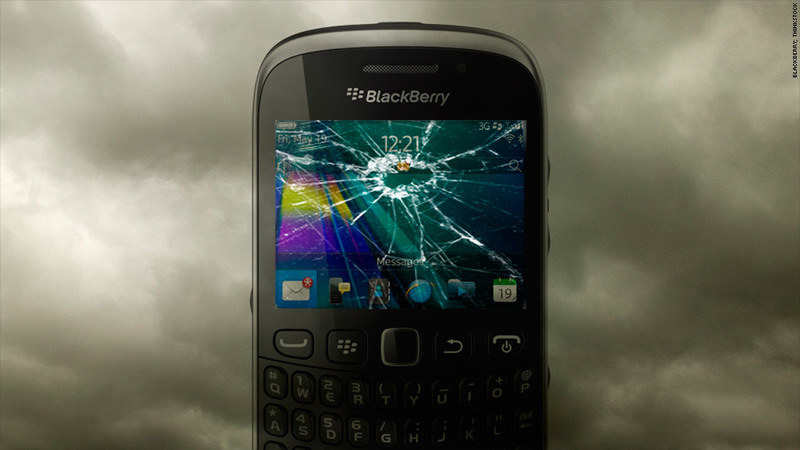 "Government organizations globally have relied on the security of the BlackBerry solution for over a decade," said Paul Lucier, vice president of RIM government solutions in a statement. Carl Howe, a technology analyst with Yankee Group, said RIM can weather the losses because of its reputation of maintaining a highly secure system. "For anyone who is really interested in high security systems, BlackBerry really remains the gold standard," Howe said. Still, RIM appears to be hemorrhaging customers all around. Federal contractor Booz Allen Hamilton (BAH) also decided last week it would no longer use BlackBerry mobile devices, confirmed spokesman James Fisher. Most of Booz Allen's 25,000 employees use personal smart phones to check company mail. Those who have BlackBerrys will no longer be able to access company email, Fisher said. Booz Allen advises the U.S. Army, Navy, Air Force and Department of Homeland Security.